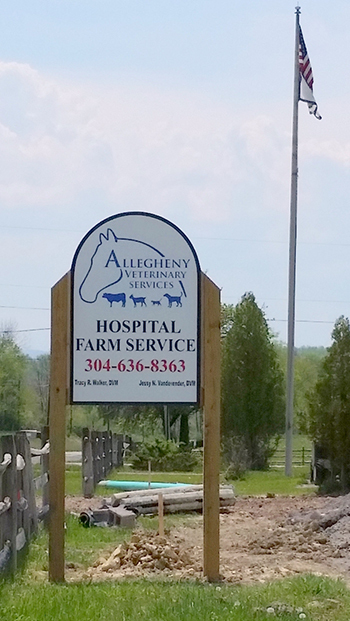 Allegheny Equine Veterinary Service provides complete, full-service diagnostic, surgical, and emergency medical care for our equine patients, as well as many other large farm and companion animals, at our animal hospital in Elkins, WV. We know how much our animal patients mean to our clients and are committed to providing the highest quality veterinary services to all entrusted to our care 24/7/365. Whether you require routine care or urgent intensive care services, our healthcare team provides dependable, easily accessible care. 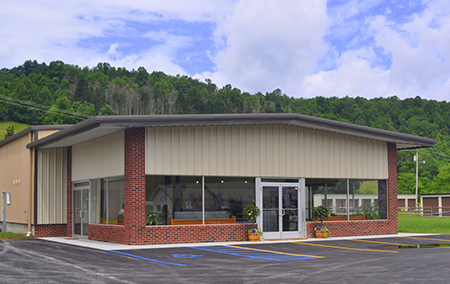 Our facility can accommodate your large trailer with convenient pull-through access. 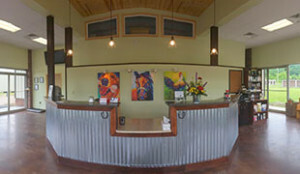 When you arrive, please check-in at the front desk prior to unloading. Our courteous receptionist will greet you and guide you through the check-in process. A friendly technician will meet with you to collect a brief history and provide instructions for unloading. You and your patient will be escorted to an exam area or a holding stall. After your patient is secure, one of our veterinarians will then examine your animal. Our veterinarian will discuss exam findings with you and make further recommendations of diagnostics. Many diagnostics can be performed in-house with immediate results. Once a diagnosis has been made, our veterinarian will discuss treatment options, and a treatment plan will be created with the owner. Up-front treatment estimates may be provided upon request by the owner. We pride ourselves on open, honest communication and welcome questions. Please feel free to bring a written list of questions so that we can be sure that we address all of your concerns.